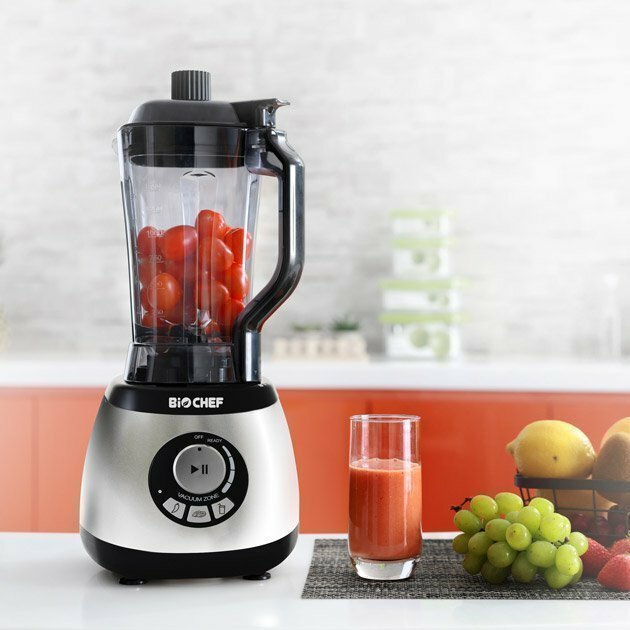 The new BioChef AirFree Vacuum Blender offers the latest development in blending technology. Normal household blenders whisk air into ingredients. By removing the oxygen from the jug prior to blending, the AirFree blender preserves the colour, flavour and freshness of the ingredients. As a result, you will enjoy a smoother, richer and foam-free texture. Power, precision and three pre-set programmes make blending easier than ever before. The AirFree Vacuum Blender uses new vacuum blending technology to maximise nutrition and preserve freshness by removing the air from the blender jug prior to blending. Oxidation begins when food is exposed to air, and is the reason a smoothie will begin to split, separate and discolour relatively quickly if not consumed right away. 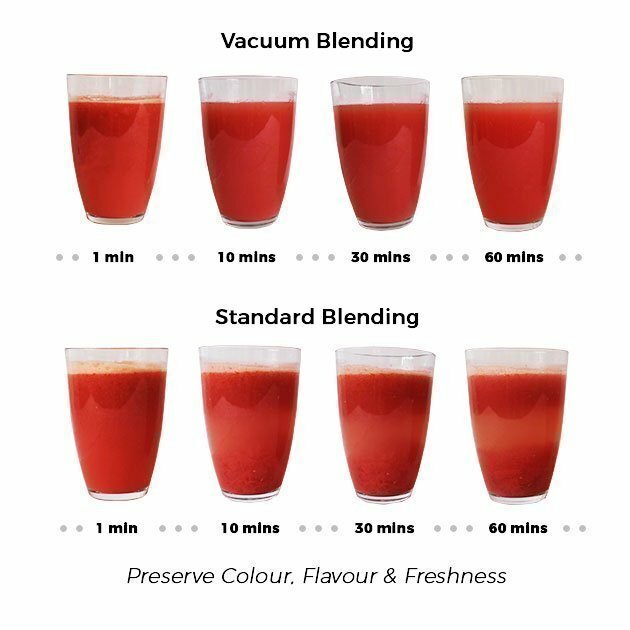 The immediately noticeable result after removing the air prior to blending is a richer tasting smoothie with a smoother, foam-free texture. The AirFree Vacuum Blender will create a smoothie that is noticeably brighter in colour, has a smoother consistency, and stays tasting fresh for longer. 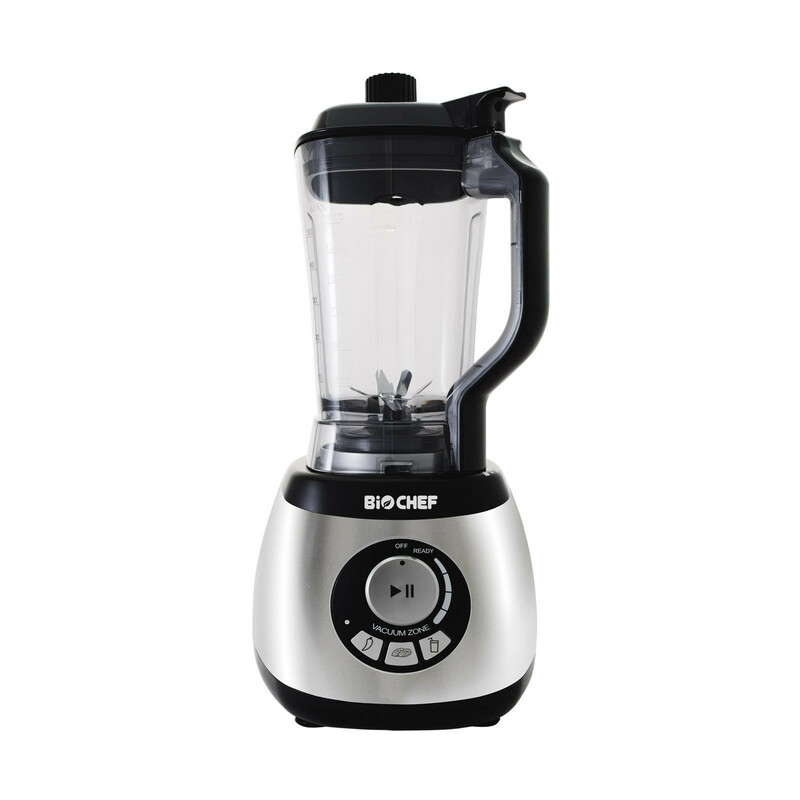 With the AirFree blender, with the touch of a button, the air is removed from the blending jug, reducing the exposure to oxygen and creating a vibrant coloured smoothie. 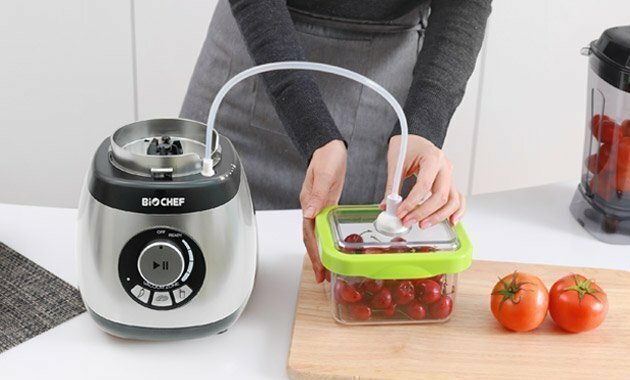 Three pre-set programmes make the BioChef AirFree Blender one of the most user-friendly blenders we’ve ever designed. 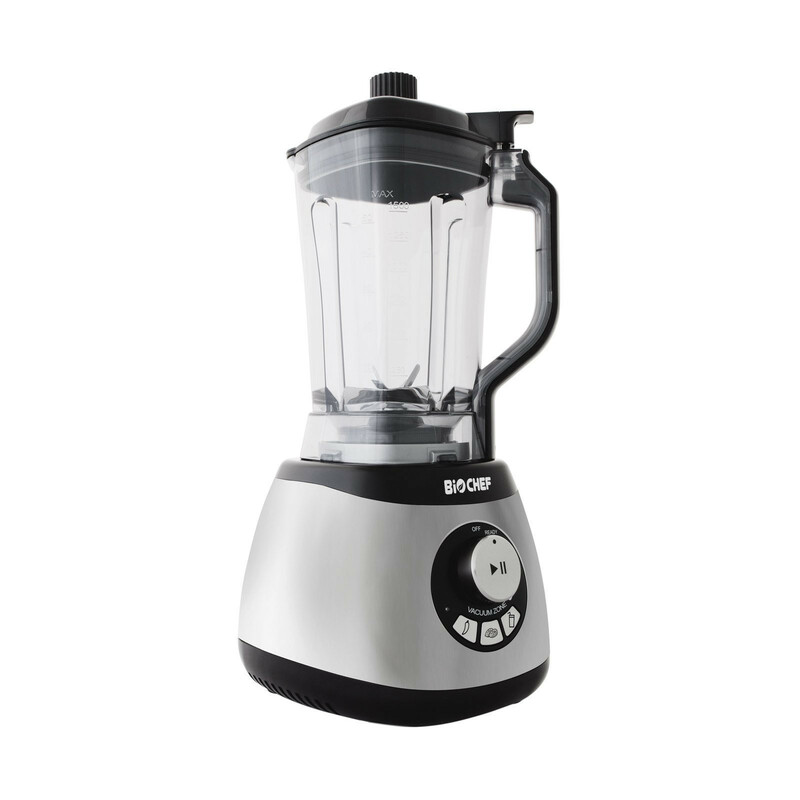 The BioChef AirFree Blender comes with Japanese made stainless steel premium blades which are not only the toughest on the market but also extremely resistant to rust or decay. These blades spin 25,000 times per minute to pulverise even the toughest ingredients. 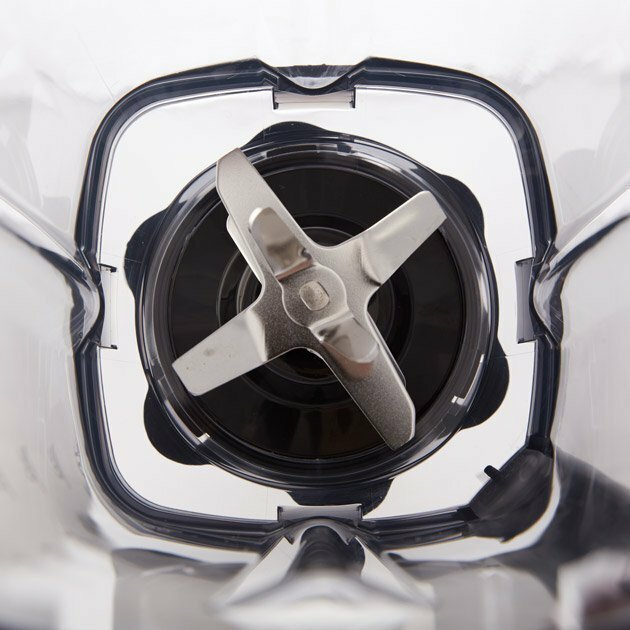 Using the AirFree’s revolutionary vacuum technology you can store your food and drinks for far longer than ever before. By removing the oxygen from the container, the AirFree Vacuum Blender reduces spoilage caused by oxidation. 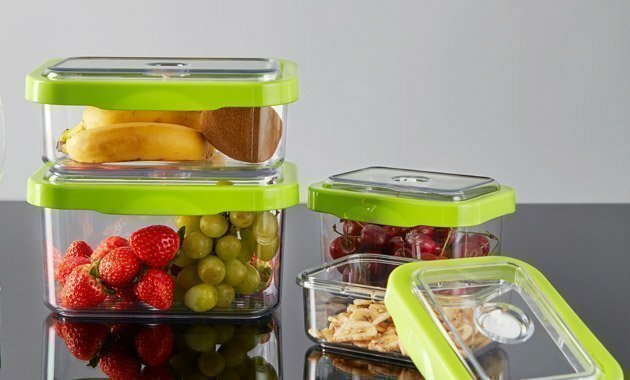 You can now preserve your favourite smoothies, juices, sauces, dips and dressings using the AirFree’s Vacuum tumbler accessory. The 450ml tumbler is perfect for active lifestyles allowing you to keep on the move. 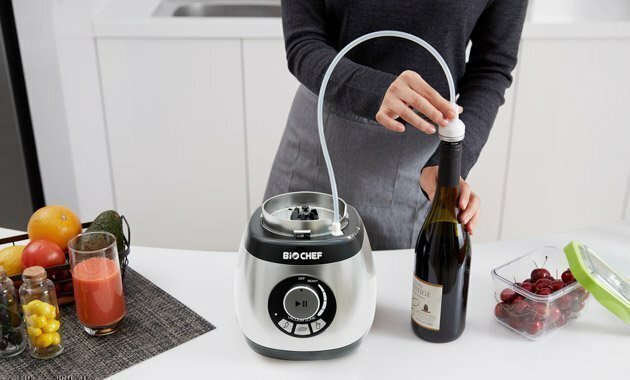 Preparing produce for your smoothies, juices and meals couldn’t be easier. Simply place the items inside the container and use the AirFree’s vacuum function to extract the air, which extends shelf life. The included vacuum bags are perfect for storing dehydrated foods, nuts and seeds. You can even preserve leftover wine using the AirFree’s included wine stopper! 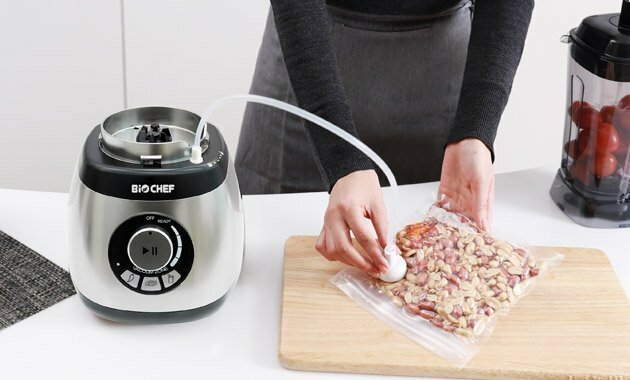 BioChef Airfree Vacuum Blender. Fresh food longer.